President Trump was carried to the White House on promises (or threats) of rolling back government regulations. At the CPAC conference this year, Pres. Trump’s Sr. Policy Advisor, Steve Bannon, framed much of Trump’s agenda with the phrase, “deconstruction of the administrative state,” meaning the system of regulations and taxes that the president says have stymied economic growth. OSHA regulations are apparently at the heart of this deconstruction. 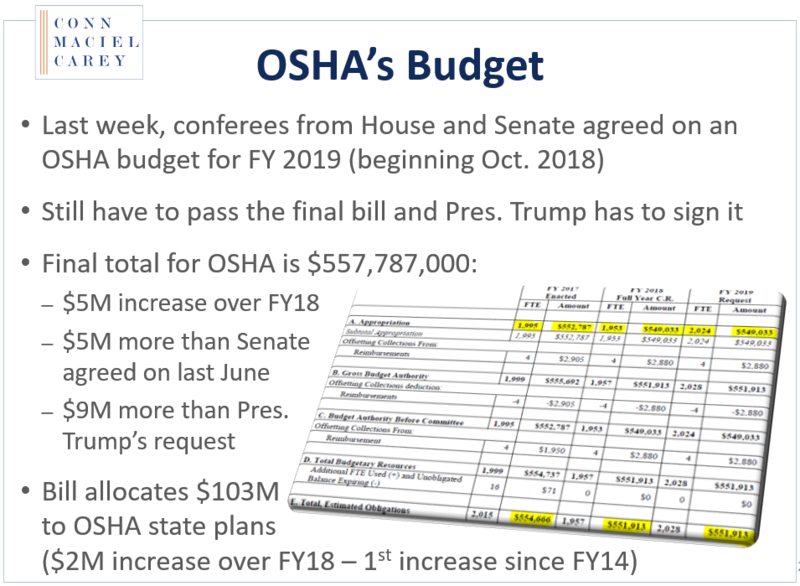 Now, only half a year into the Trump Administration, we have seen significant changes to the OSHA regulatory landscape. This webinar will take a deep dive into the actions taken by the Trump Administration in conjunction with the Republican Congress to roll-back OSHA regulations or otherwise lessen the punitive influence of OSHA on our nation’s employers. From the repeal of several Obama-era midnight rules, to a budget proposal that could gut OSHA’s enforcement efforts, to a series of Executive Orders that shift to a business friendly regulatory agenda. The Trump Administration submitted a blueprint budget for 2018 to Congress proposing $2.5 Billion in cuts to the U.S. Department of Labor’s (“DOL”) operating budget. The President’s proposed budget expressly calls for reduced funding for grant programs, job training programs for seniors and disadvantaged youth, and support for international labor efforts. 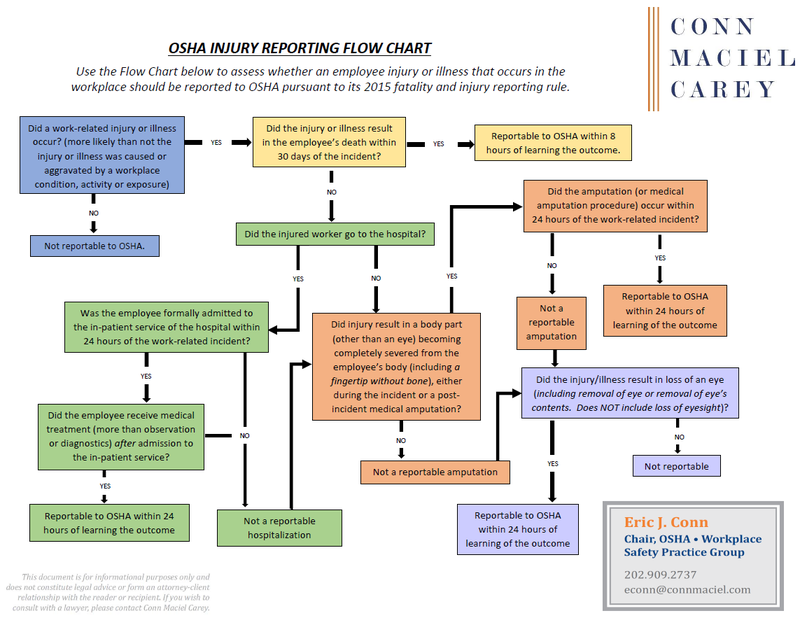 It also proposes to entirely defund and eliminate the U.S. Chemical Safety and Hazard Investigation Board (“CSB”) – an independent, federal, non-enforcement agency that investigates chemical accidents at fixed facilities. The budget plan also purports to shift more funding responsibility to the states with labor related programs. Finally, although less explicit, the budget blueprint appears to deliver on promises from Trump’s campaign trail that rulemaking and regulatory enforcement efforts under the myriad laws and regulations enforced by the sub-agencies, such as the Wage and Hour Division and OSHA would be slashed. These proposed budget cuts at DOL and other agencies are all part of a plan to offset the White House’s intent to increase defense and security spending by $54 billion. Overall, Trump requested $1.065 Trillion in total discretionary spending, with $603 billion going to Defense. The proposal would shrink DOL’s budget to $9.6 Billion – down 21% from the $12.2 Billion budget for 2017. Trump’s planned reductions announced on March 16, 2017 – while not really surprising in the context of his view toward federal spending on non-defense agencies – would have a seismic impact on DOL’s ability to carry out both policy initiatives under former President Obama as well as many of the Department’s longstanding programs. The business community welcomes Trump’s effort to rein in what has been viewed as an intrusive, enforcement-heavy Labor Department, but we caution not to count chickens yet. These proposed cuts will undergo heavy scrutiny by Congress before any budget is finalized. The President’s spending plan is only the first step in months of negotiations between the White House and both houses (and parties) in Congress. Pres. Trump will put forward a more detailed spending proposal in May, and various legislative committees will scrutinize his requests, calling on Cabinet Secretaries, Agency Heads, and others in the Administration to testify about or otherwise explain their spending needs and requests.